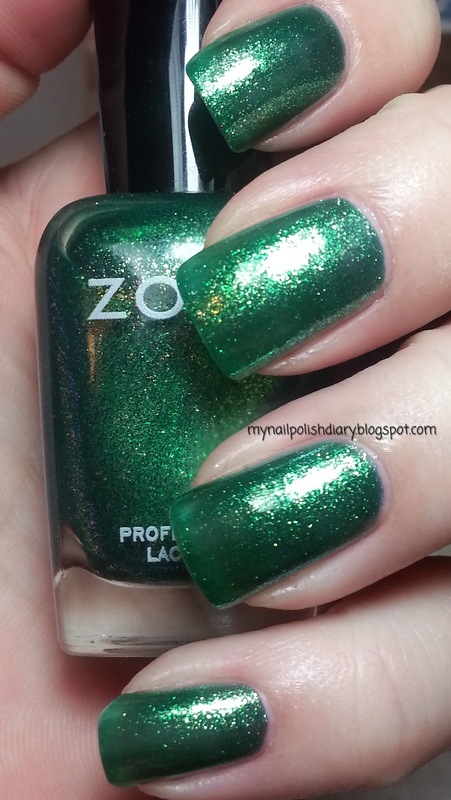 Zoya Ivanka from the Sparkle Collection 2010. It's a sheer shimmery green. I did three coats, but probably needed a fourth, though in real life the bare looking spots were not noticeable like they are in these pictures. It's a really pretty color. I didn't love it on me, but the only reason is I feel like it's not the best color for my skin tone. Application and formula are great. Other thank the skin tone issue I adore Ivanka. Gorgeous, Tami! Ivanka's one of my faves. I can never get it to photograph right, though... Beautiful job! Wow! I love this green!